1. Sadler. Embriología médica-Langman. 12, editor 2012. 2. Arthur F, Carachi R. Malrotation in infancy and childhood. Scott Med J. 2016;61(2):69-73. 3. Langer JC. Intestinal Rotation Abnormalities and Midgut Volvulus. Surg Clin North Am. 2017;97(1):147-59. 4. Pumberger W, Birnbacher R, Pomberger G, Deutinger J. Duodeno-jejunal atresia with volvulus, absent dorsal mesentery, and absent superior mesenteric artery: a hereditary compound structure in duodenal atresia? Am J Med Genet. 2002;109(1):52-5. 5. Black PR, Mueller D, Crow J, Morris RC, Husain AN. Mesenteric defects as a cause of intestinal volvulus without malrotation and as the possible primary etiology of intestinal atresia. J Pediatr Surg. 1994;29(10):1339-43. 6. Benyamini P, Lopez S, Cooper M, Mohamad O, Maldini G. Congenital Mesenteric Defect: An Uncommon Cause of Bowel Obstruction. Hawaii J Med Public Health. 2016;75(2):46-7. 7. Herman TE, Siegel MJ. Apple peel small bowel. J Perinatol. 2008;28(5):380-2. 8. Blandy J. Neonatal intestinal obstruccion from a congenital hole in the mesentery. Br J surg [Internet]. 1960; 48:[133 p.]. 9. Cascio S, Tien AS, Agarwal P, Tan HL. Dorsal mesenteric agenesis without small bowel atresia: a rare cause of midgut volvulus in children. J Pediatr Surg. 2006;41(9):E5-7. 10. Hull JD, 3rd, Kiesel JL, Proudfoot WH, Belin RP. Agenesis of the dorsal mesentery without jejunoilial atresia ("apple peel small bowel"). J Pediatr Surg. 1975;10(2):277-9. 11. Llore N, Tomita S. Apple peel deformity of the small bowel without atresia in a congenital mesenteric defect. J Pediatr Surg. 2013;48(1):e9-11. 12. Madani S, Parikh S, Madani RS, Krasaelap A. Long-Term Study of Children With ROME III Functional Gastrointestinal Disorders Managed Symptomatically in a Biopsychosocial Model. Gastroenterology Research. 2017;10(2):84-91. 13. Rodríguez G L, Faúndez H R, Maure O D. Dolor Abdominal Crónico en pediatría. 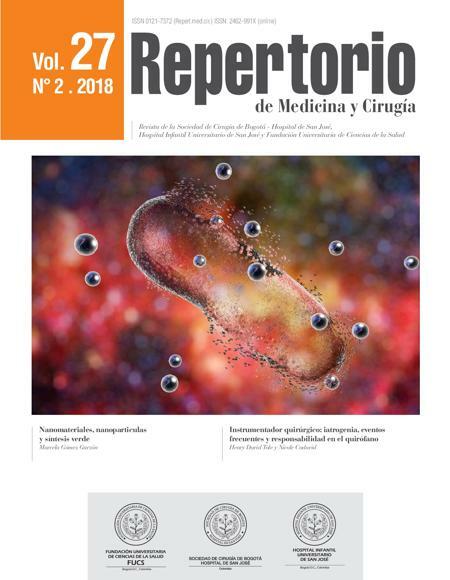 Revista chilena de pediatría. 2012;83:279-89. 14. Ferrero L, Ahmed YB, Philippe P, Reinberg O, Lacreuse I, Schneider A, et al. Intestinal Malrotation and Volvulus in Neonates: Laparoscopy Versus Open Laparotomy. J Laparoendosc Adv Surg Tech A. 2017;27(3):318-21.